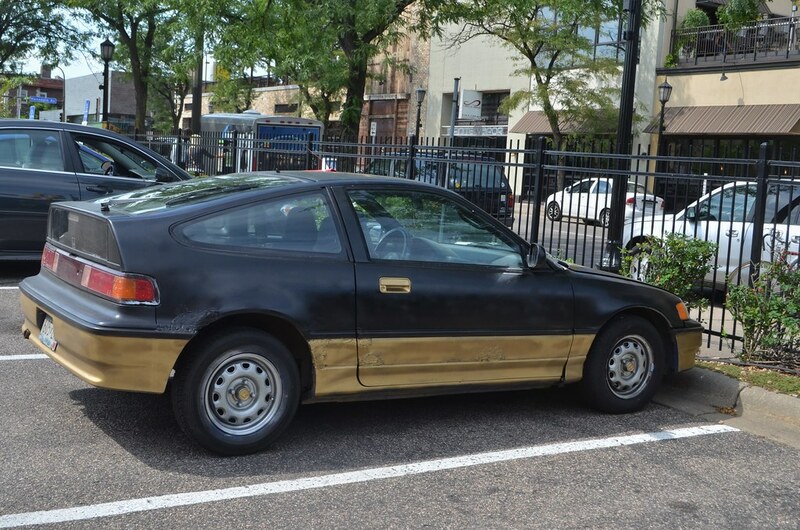 I'd actually like to see a CRX in a black over gold color combo like this...just in better shape. 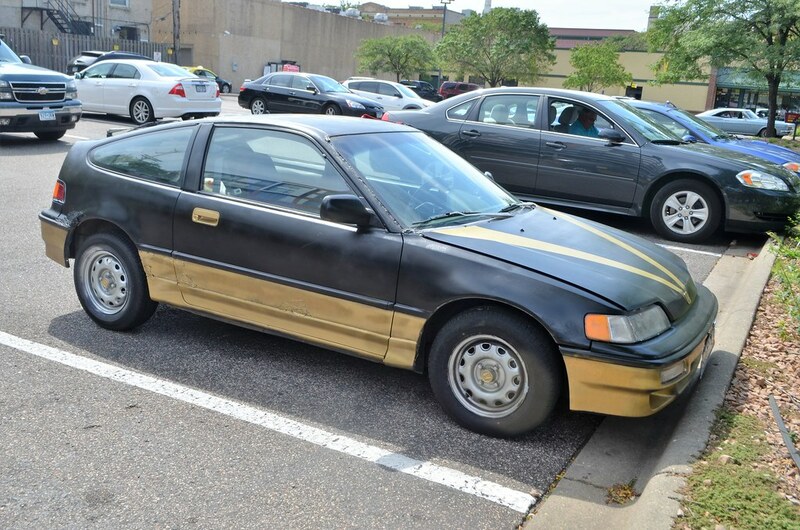 Looks like someone got a bit crazy with the gold spray paint. #2, Or not crazy enough, he should've' at least done the WHOLE wheel and not just the caps.